You can now book appointments on line by clicking the link below and following the instructions. Please note for spa sessions of more than 1 person it is best to call the salon to book. Give more definition to your eyelashes with Semi permanent eyelashes. Eyelash extensions are placed onto top of your natural lashes and will grow and shed with your natural lash cycle. Extensions will last 2-3 months but infills are recommended 2-3 weeks. Sienna Spray Tan £15 and now all NEW fast developing spray tan available, which develops with in a few hours. Upgrade and use the Spa for only £15 with any treatment!! Want to stay longer? only £18.50 for two hours. Elemis BIOTEC uses 5 technologies which include: Ultrasonic, Microcurrent, Galvanic, 02 infusion and Light Therapy to help tone, lift and resurface the skin. Microdermabrasion facials with Hannah £30! Microdermabrasion is an effective treatment for uneven skin textures, the Microdermabrasion machine delivers exfoliating crystals to the face at a controlled speed to remove dead skin cells, polishing the skin surface and promote regeneration of a new smoother skin surface. Additional benefits include, make-up application leads to a smoother look and the performance of serums and moisturisers are enhanced. An ideal treatment for blemishes, chicken pox marks, the aftermath of acne and stretch marks. This unique course brings together a very special group of people, on a soul path journey. The journey of self-discovery and expansion. You may have already started your spiritual development, expanded your consciousness and experimented with your intuitive side. Each week we will meet and will explore through meditation, cards, and other medium to expand our consciousness and bring forth your soul self into the latest, most current expression. Tues 5th March 2019, Tues 12th March, Tues 19th March, and Tues 26th March. Hello and welcome to Escape of Marton, Cheshire, my name is Katie Dunn and I am pleased to say I am the owner of this exciting, friendly Beauty & Holistics Salon. For those of you who are new to this page and first time visitors I would like to tell you a little about Escape and going forward what we stand for. I hope as you look through our site, at our traditional beauty, relaxing holistic, cutting edge nutritional services and also view the product brands that we support, stock and use, and also browse our gallery, you will also see and appreciate our approach and consider us next time you decide to treat yourself. Over the course of the year these pages will be updated with various snippets of news and various promotions, which you will be able to see below or on the navigation bar to the right. If you would like to sign up to the newsletter then you can contact us through the Contact us tab to the right on the menu bar. In the meantime don’t hesitate to contact me personally should you have any questions or queries. Click below to watch a video of our new spa! Some good news, a few of you might be aware we have had an extension built on to Escape to add on spa facilities. This extension is now complete and includes an extra treatment room, sauna, steam room, Jacuzzi and changing facilities. Spa packages are now available to book! New Elemis Biotec facial treatments!! BIOTEC delivers 8 NEW highly-effective, super-charged facial treatments to re-boot cellular performance, enhancing the skin’s ability to repair, renew and re-tone. Revealing a new generation of facials, each treatment targets specific skin needs to deliver immediate, visible, long-lasting results. 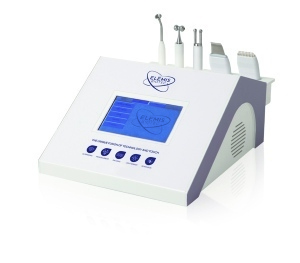 Using 5 technologies which include: Ultrasonic, Microcurrent, Galvanic, O2 infusion and light therapy. 8 facials available your therapist will help you decide the best facial for you. Escape will not pass your email onto any other company. We send just one email out per month informing you of all our offers and news. Escape has now changed its product brand to Elemis. Elemis has over 20 years experience in treating both men and women in the professional spa environment. Every treatment is specifically designed to offer a unique experience, using powerful massage sequences and the most potent active ingredients available in the world today. Treatments for Elemis facials will be available towards the end of the month but taster Elemis facials and products are already available to buy at Escape. For all new customers we are currently offering a 3 FOR 2 mix and match on all treatments. *The 3rd free treatment is equivalent to the lowest value of the first 2 treatments and must be used within 3 months of issue. Non transferable and can not be used in conjunction with gift vouchers.